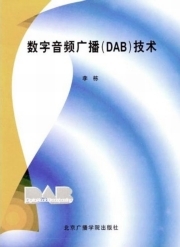 DAB transmissions have ceased in Hong Kong after the public-service broadcaster, RTHK, the only remaining broadcaster on the territory's ensemble DAB+ Hong Kong ended its participation. DAB transmissions have ceased in Hong Kong. The public-service broadcaster RTHK, the only remaining broadcaster on the territory's ensemble DAB+ Hong Kong ended its participation. At the end, five services were being broadcast, including one in Putonghua and a relay of BBC World Service. Three commercial broadcasters, one of which was unique to the digital platform, previously broadcast services on the ensemble but retreated in quick succession. Ocean Digital is a Hong Kong company founded in 1992 and offering a range of DAB+ receivers bearing its own brand. Powered by an external AC/DC adaptor, this desktop radio, the DB-280, has a telescopic antenna and receives DAB, DAB+ and FM radio. The following products, available on the mainland, and their prices are shown for information and comparison purposes only. The pilot L-band DAB ensemble in Hong Kong was switched off on June 12th 2001, well after the end of the official test period. The two-transmitter SFN was broadcast from Mount Gough and Beacon Hill, providing coverage in Kowloon, the north side of Hong Kong Island and Aberdeen and surrounding area on the south of the island. A lobe to the north of Beacon Hill provided coverage along the Shatin valley.